One Cup Selections comes with Daiginjo, natural flavor of Junmai and mildly sweet Junmai Nigori. The creamy rich flavor is balanced with an elegant sweetness and a refreshing aftertaste. 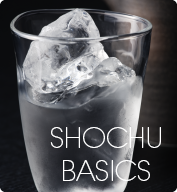 The rich acidic taste unfolds on the palate while the Umami and dryness intertwine. Brewed wholeheartedly. Soothing aroma and sweet rich taste will stimulate your palate. Full maturation creates a perfect alignment of rich flavors, acidity and fresh clean aftertaste. Aroma of lemon pops. Refreshing and well balanced sweetness, acidity and hint of bitterness. Wonderful flavor reminiscent of pears and tastes rich. Slightly sweet sour and little bitter. Bold and rich, Yamadanishiki Genshu is best enjoyed well chilled on the rocks. Sweetness of ripe melons and combination with layers of acidity creates sophisticated Umami. This sake marked the best score from Robert Parker Jr. Strong and bold, with elegant aroma. Refreshing aroma of grapefruits and strawberries. Elegant acidity and very interesting sake. Fruity aroma of strawberry leaves. 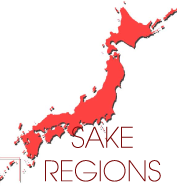 Sake is medium dry, well balanced acidity and bitterness. The refreshing sweet aroma, it has unique acidity and bitterness. Well balanced and very dry sake. Very full bodied and rich with a soft round finish. The flavorful depth increases which each glass. The rich, creamy flavor comes from rich grain, delicate sweetness and softness are from water. Light and crisp sake with deep aftertaste. Brewed with water of Rokko with refreshing aroma, natural sweetness and smooth aftertaste. Rounded aromas of rice, and well balanced richness brings out the full flavor of rice. Medium dry. Bit dry sake with mild flavor. Goes well with any kinds of food, especially with fish dishes. Rich fruity bouquet and delicate flavor. Rich taste of traditional Japanese Sake that one never gets tired of. Well-aged Sake with full-bodied taste and mellow aftertaste. Made from premium Yamadanishiki rice, with refreshing flavor and rich body. Gold flakes added. Rich Sake with smooth aftertaste. Sake with dry, refreshing taste, sharp finish. Full-bodied Sake with fragrant aroma, using 100% premium rice "Yamadanishiki". Non-filtered Sake with rice flavor and mellow finish. Full-bodied and dry Sake with rich layers of rice aroma. Matured for several extra years. 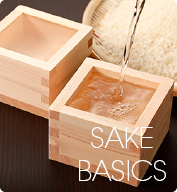 Sake with robust flavor and aroma, using one of traditional sake making rice. Rich Sake with dry finish. Medium dry Sake with round aroma of rice and soft smooth taste. Clean and simple. Slightly acidic and bitter for a smooth, dry finish. 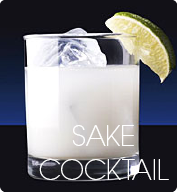 Smooth Sake with slightly acidic flavor and soft aroma. Dry and rich unfiltered Sake with smooth taste, aged a cool temperature for 6 months.